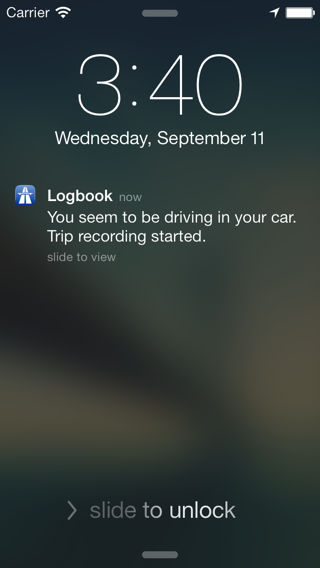 The most convenient drivers logbook for iPhone. 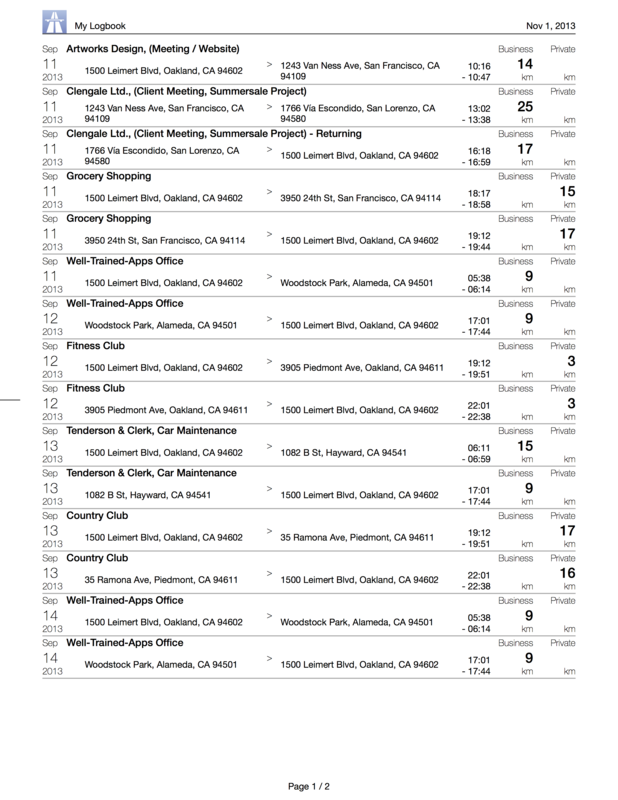 My Logbook greatly simplifies the task of recording and categorizing your trips. 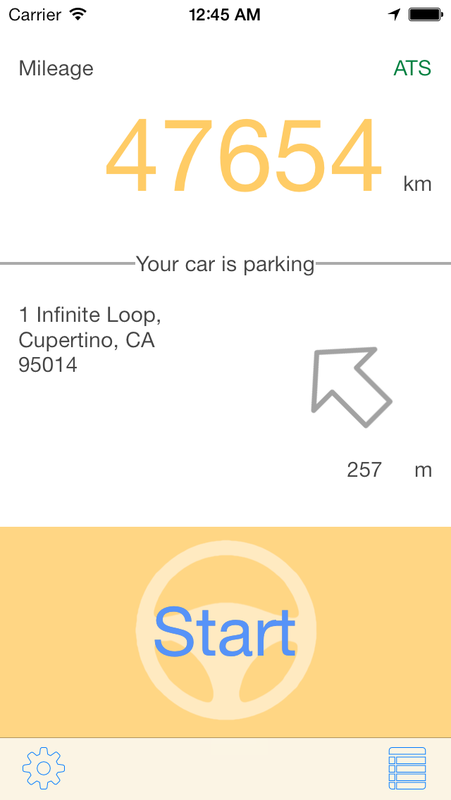 It records start and end address and updates an internal mileage counter while you drive. At the end of the trip you specify whether this was a private or business trip and you are done. All you need to do is carry your iPhone with you. It's that simple. My Logbook records date, time, start and destination address of your trips. It also records duration, distance and the reason for each trip. You can browse your trips, view them on a map and export your logbook when you need it in paper. 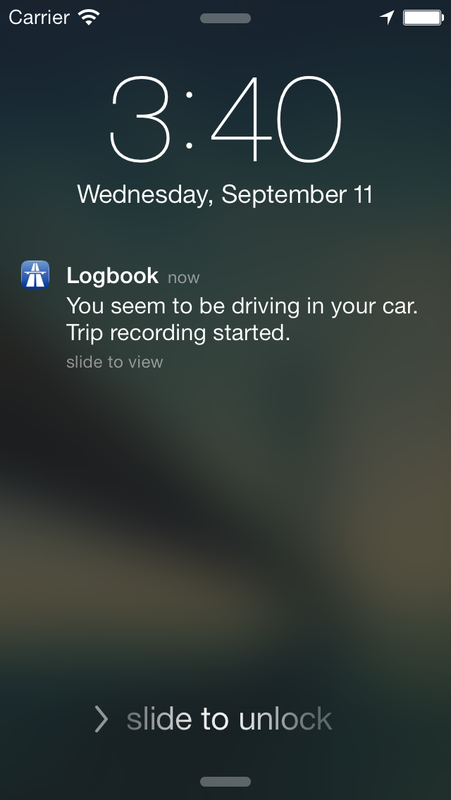 Even if you forget to record your trip - My Logbook will do it for you. You can can browse and categorize your trips later. My Logbook can display each of your trips on a map and will know start and destination address to help you categorize your trips. Trip detection uses the latest iOS 7 power saving technologies to make sure that you get the most out of your battery. GPS hardware remains turned off until you actually start driving and is turned off during during your trips when its not needed. 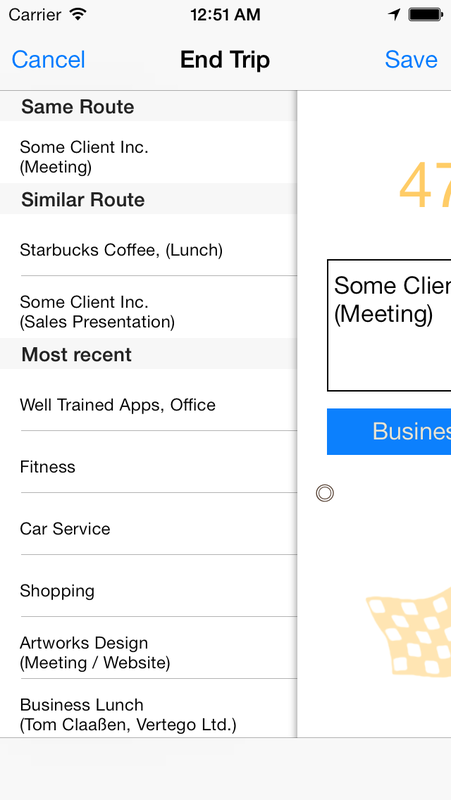 At the end of each trip (or any time later) you can change the type (Business or Private) and reason of your trip. My Logbook will remember these descriptions to give you smart proposals for your next trips. For example: If you visit the same client for a second time, My Logbook will automatically fill in the description of your previous trip. 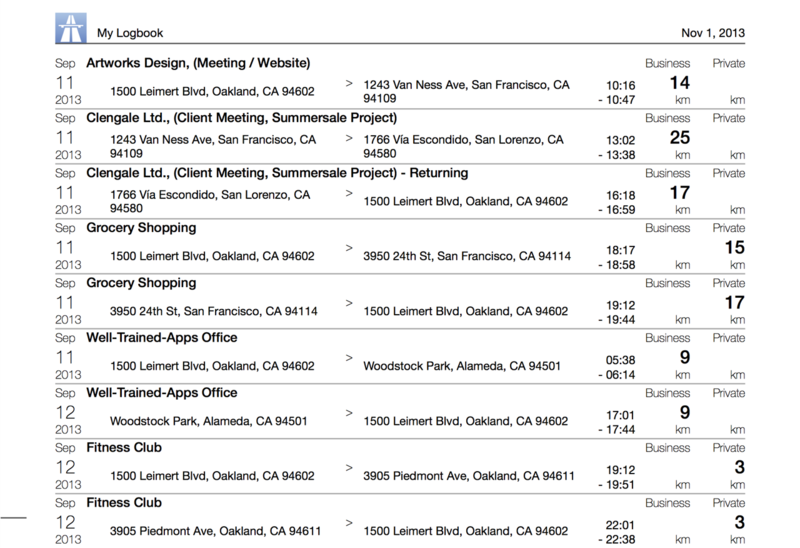 MyLogbook stores your trips in an internal (and immutable) format. This data can be viewed within the app and can easily be exported. CSV (character separated values) is a commonly used format for tabular data. You can easily open these files with Excel, OpenOffice or Numbers. PDF (portable document format) is a well known format for layouted documents and perfectly suited for archiving, printing or sharing your logbook. 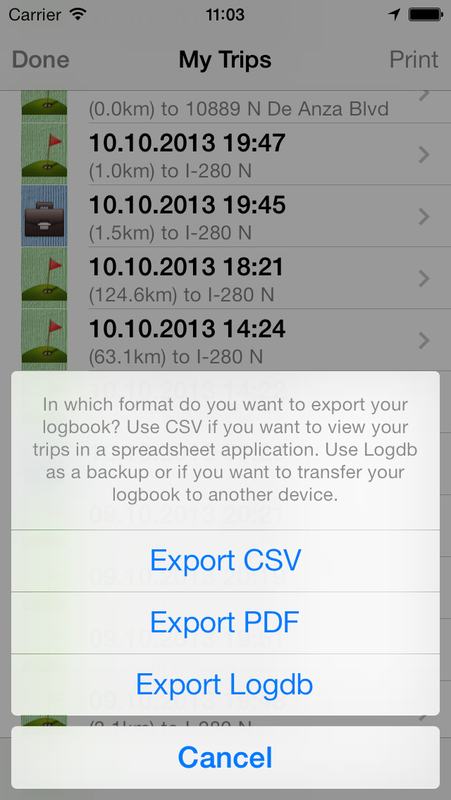 LOGDB is My Logbooks internal data format and allows you to backup your data. You can use iTunes to restore the data or transfer it to another device. For detailed usage information, see our User Guide. for information about using this app. if you have any	questions.